Tin is a very malleable and versatile metal because it can be custom shaped and moulded into so many different designs, this blog will show just how good it is as a product material in producing branded tin signs. This image shows exactly how versatile your branded tin signs can be. 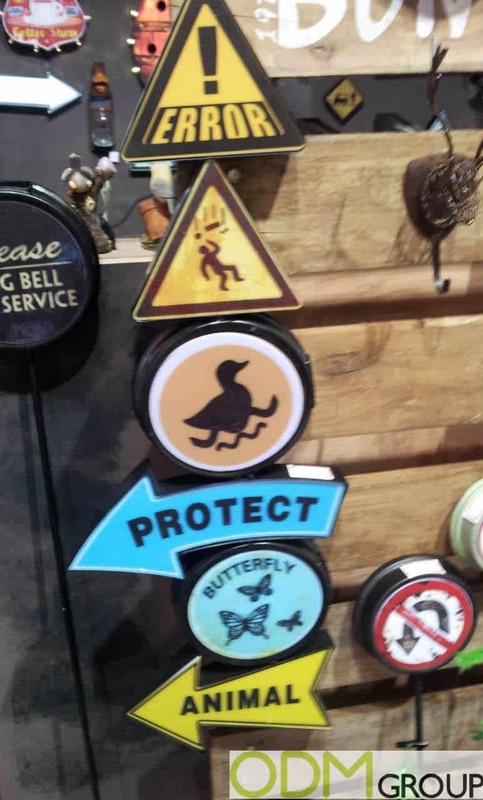 Here we see examples of shapes of arrows, traffic, animal and caution signs. They are extremely effective marketing products when different shapes are placed together forming a large eye-catching sign. Because each branded tin sign is different, they will entice and interest people to look. 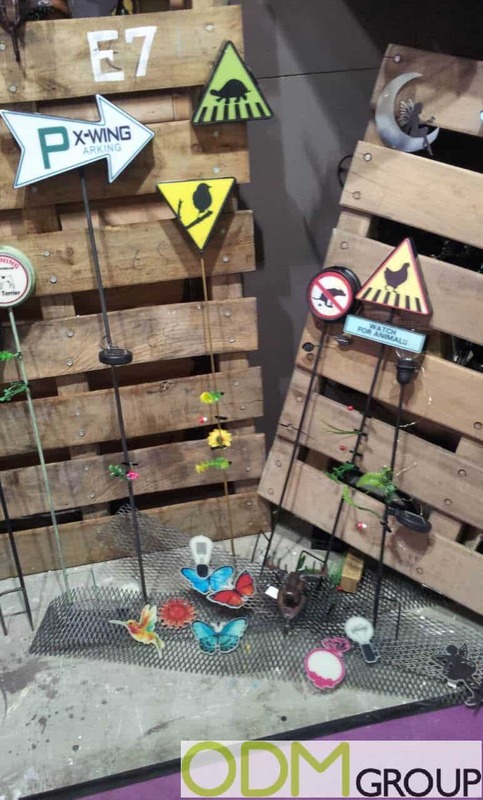 Here are some more branded tin signs attached to long sticks. These specific products would make excellent promo items and advertising products to stick in your garden or in any open area. Because they are rustic, they would make good branding products for retro bars, cafes, and scenic areas. These branded tin signs can be attached to the wall. 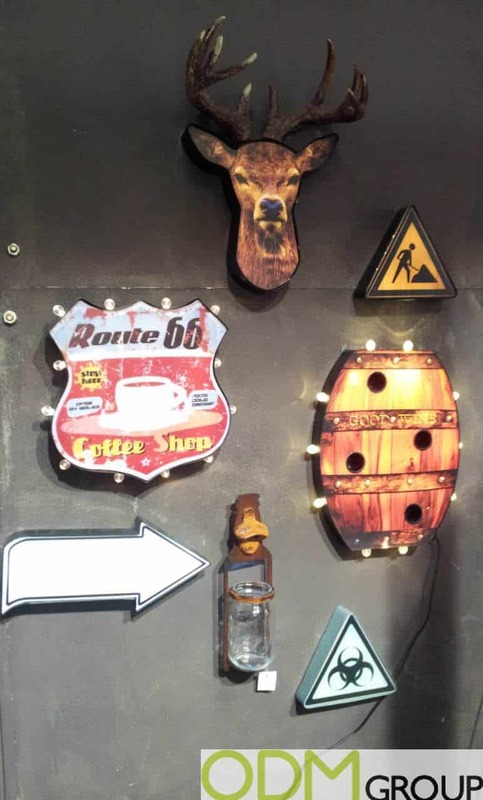 Here we see signs for a coffee shop, a barrel and a jar, giving off that American diner vibe. The possibilities of tin designs are so many that you’ll be spoilt for choice, and its not just signs that tin can be used for. Why use branded tin signs for your next promotion? Design. Tin can be custom shaped, moulded and printed to provide any look you wish. These branded tin signs are a great way to increase your brand awareness and exposure because they are all unique and are easy to spot. Practical. Tin is a very practical material because it can be used to create so many different kinds of promotional items and packaging such as food tins, drinks tins, storage tins, coin boxes ect, and all of these can be custom branded. Here at ODM we think tin is an excellent way to advertise and also makes excellent promo packaging for other items, if interested in these branded tin signs, feel free to contact us and quote product number ODM-1178 to a member of our team. We specialise in designing and creating promo products and we can help you brainstorming your ideas.